You are here: Home / News / Mad Monkey Maintenance inc., News / The environment got locked! 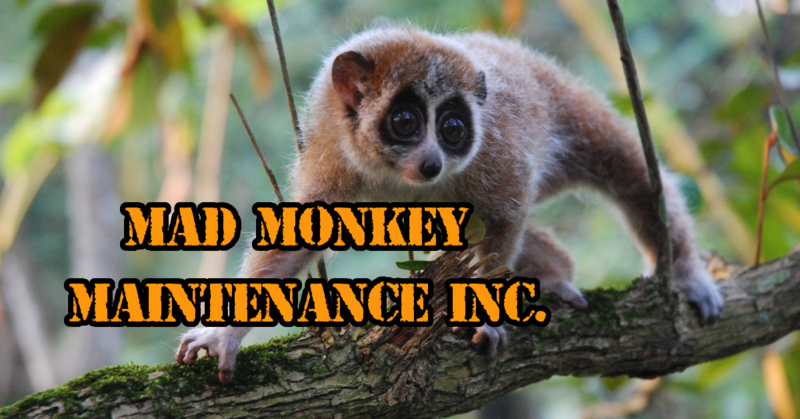 – Mad Monkey Maintenance inc. The environment got locked! – Mad Monkey Maintenance inc.
What’s in a pipeline – Mad Monkey Maintenance inc.
‘Tis but a refactor – Mad Monkey Maintenance inc.
Two whole months without a maintenance report!? How dare I!? Did I abandon the TSU!? Have I dieded!? Could I finally have gotten a social life!? No, this monkey did not die… I just slepth through winter to save up on energy! I am not energized, I am not healthy and I am way behind on the promissed deadlines! Hello 2017, did you miss me yet!? Take a good look at the address bar that you use to navigate from website to website. You know… That weird thing that contains the web address for this awesome little website of ours. See anything different? No… Well… Fine! I’ll tell you what’s different!!! Nice and shiny and green! (Except in Edge/IE… Because Edge/IE doesn’t play with the cool kids and doesn’t use green). This now proves that all passwords and user input will be secure and encrypted before I or anyone else gets their grabby hands on it! Mostly because of personal issues and a lack of time. But with the Gaming Mammoth coming closer, and security being #1 on my priority list. I simply could not put this on hold any longer. Also, I am aware that since moving to the new server, the website in general has been very, very slow. This is #2 on the list. Our previous host had speed over security, while our current host gives us all the freedom we want with the server. Which means that we can tweak things around and find the perfect balans between speed and security. Hey, speaking if the mammoth! Make sure you share http://thegamingmammoth.com with as many friends as possible! Next Next post: The Gaming Mammoth: Updates!